Good Saturday am to you all....Lisa here. I am playing with the new stamp set TERRIFIC TAPES. What a fun set. Can't wait to play with all the designs in this set. I stamped the heart design tape image in rainbow colors side by side. Then I stamped and heat embossed my sentiment from NOTEBOOK BACKGROUND STAMP SET on top. After that I fussy cut each tape strip and popped up on white cardstock. I do love the CAS style but felt this rainbow tape could stand on its own on all this lovely white space. Thank You for stopping by. Have fun creating with A Jillian Vance Design. 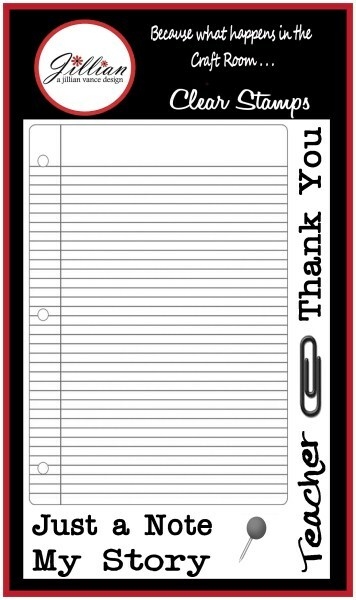 What cute card using the Terrific Tapes set! 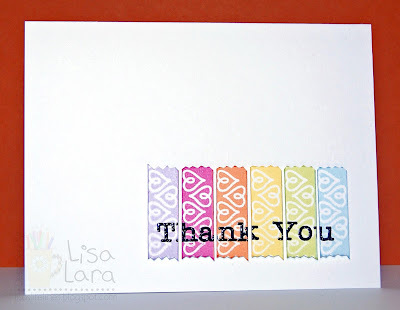 I love the card that Lisa made - wonderful use of colour and and a quick and easy card! Great concept, the Terrific Tapes set! Such a fantastic CAS card!!! Great stamp set!! Love the colors , too!! I came right over from Facebook! Great card Lisa! 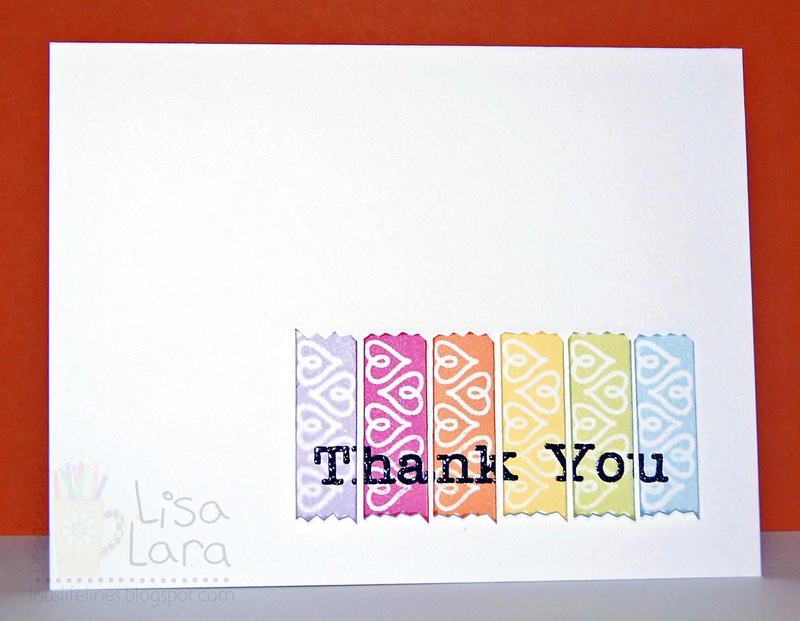 Love the Embossed Thank you you added to the tape before you fussy cute it! Great look!!! Love this, Lisa, it's colorful, fun, and so YOU! Fabulous card using the Terrific Tapes stamp set. Love the rainbow of colors! Fun colors and your fussy cutting really makes it look like strips of tape. Great card, Lisa! LOL! I thought it was "real" tape. Wonderful CAS design and super cute rainbow.